The guiding principle that underpins the entire effort is the partnership between the staff and volunteers. The staff’s charge is to maintain the balance between the foundation and the development of the effort. Therefore, if one component is underdeveloped, the staff will deliver what is not yet developed. The ultimate goal is that the entire effort is led and maintained by volunteers. The ages of the young adults served are between 18 and 35 years old who are beyond high school. One circle is called the “Life Circle.” The foundational structure is the “Life Circle” which serves a specified geographical area of a community. It is led by trained volunteers with a priority on reflection. The Life Circle meets during the second week of the month. The meeting is devoted to reflection and growth in awareness of one of the ten developmental tasks. The second circle is called the “Neighborhood Circle” which is more of a developmental structure. It is led by trained volunteers from the Life Circle with a priority on action. The program is authored by the Director of a Life Directions. The Neighborhood Circle will meet during the fourth week of the month with a structure that respects the various reasons for the participants to gather. Most often, the meeting is devoted to planning, training and/or activities to reduce violence. Volunteers for leadership are trained through a set process. There are two volunteer leaders for each Circle. The aspects for action will include parents/guardians of the participants in the Peer Motivation and Peer Mentor Programs, the people in the community, organizations and agencies with whom to network, leadership for the seasonal events and adult coaches (corporation and community). The training of Adult Coaches for involvement in the Peer Mentor program will occur on a consistent basis within a structure of accountability of six Adult Coaches per group with one acting as the coordinator for the other five Adult Coaches. The Focus Life retreat will provide a common experience for every person who wants to belong to the Life Circle. The implementation of the multi-cultural interdependent process provides the opportunity for growth through reflection on developmental tasks and planned actions within the community to reduce violence. The methodology for building the effort is a four part process aptly called C. R. E. W.
Contact individuals through mailings, media, phone, and other means. Recruiting individuals and groups both within and beyond Life Directions. Events are developed that are offered to the Public. Working with those that come to receive what is offered. The Life Directions’ Community meets in the first week of the month to deepen the spirituality within leadership of the Life Circles. It uses the three (3) cycle “Word of Life”. It strengthens the Life Circles to guide the Neighborhood Circles. The Life Directions’ Network meets in the third week of the month and plans activities within the neighborhood community and implements the Seasonal Gathering Events. The Network meets with volunteer representatives of all of the Neighborhood Circles. Adult Coaches may seek the Neighborhood Circle as a structure for support in their efforts with high school Peer Mentors. The Focus Life weekend retreat event provides a common experience of forgiveness as the spiritual response to violence for all people of good will. 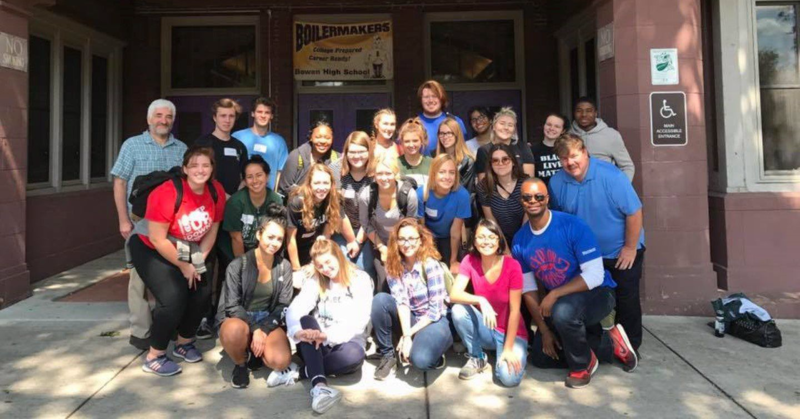 Neighborhood Circles can partner with students from the Peer Motivation and Peer Mentor Programs for specific activities and events within the community setting. Various “prisms of meaning” (e.g. the Word of Life, Koran, Rights of Passage, etc.) can be used for the process of reflection within the Life Circle. Building of collaborative relationships with other community based organizations (CBO’s) as resources is integral to the Neighborhood Enrichment Program process. There are Four Seasonal Events to promote values. (Winter, Spring, Summer and Fall).